Achieving the desired effect when decorating is like a lot of things, easier said than done, or we could say in this case easier visualised than achieved. 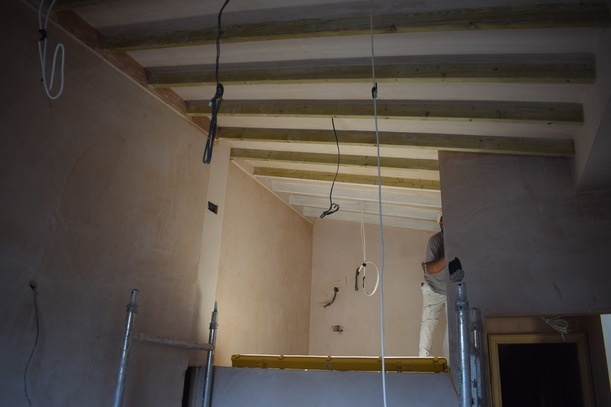 It is very common for a decoration project to be vastly underestimated in terms of time, labour and costs and is not uncommon for homeowners, or even tenants, to dig out them DIY overalls and take on the decorations head first. I mean it's just a couple coats of paint, how hard could it be right? In fact, it really isn't that hard if approached in the right way but it can be quite time-consuming, especially if not well experienced. Like many things, the secret is all in the prep and using the correct tools. Here you will find some tips that will help with your DIY paint job, and mistakes to avoid in order to achieve the quality finish you envisaged. A little planning and preparation can save a lot of problems during and at the end of your project. If the room is not empty then begin by removing any furnishings and fixtures which could potentially get ruined, even professional painters will refuse to decorate a room when it is still full of furniture so take a good note and follow suit. Save yourself the headache of cleaning at the end and cover flooring in order to catch any drips, spray backs and spillages. If painting over previously painted walls and woodwork its likely dust and dirt has accumulated on the surface so to avoid trapping it all in under your planned paint job spend some time removing the dust from these areas with a vacuum and then use a clean cloth with warm water and sugar soap or another alternative. Scrape off any loose flaky areas and take note as you will need to fill these later. If the walls are really bad you might want to consider having them plastered over to give you an easier canvas to apply the paint onto. 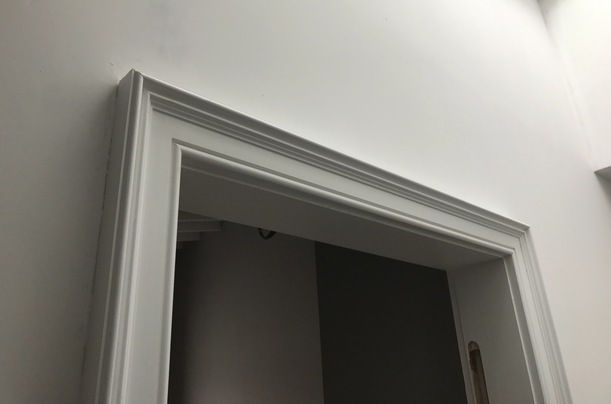 If you are painting over fresh plaster make sure to seal it first with watered down white emulsion this helps the plaster become less absorbent and allows the top coats to bond better. 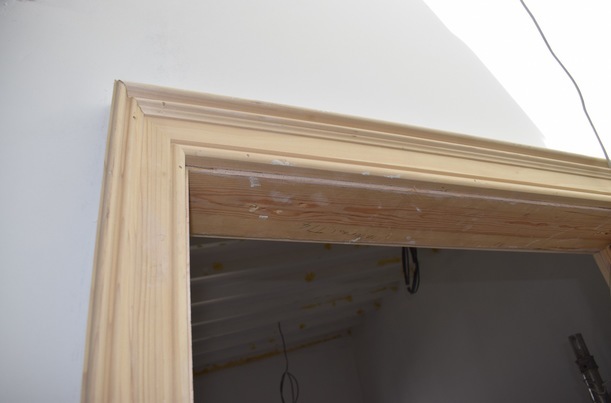 This will also allow you to see any small areas that might need a touch up with filler easier than on the bare plaster. 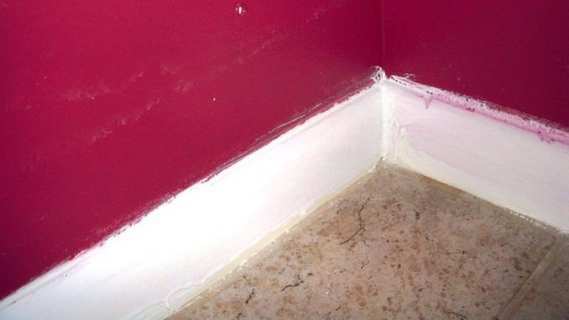 Ensure any wall drips are rolled out quickly to avoid a bad finish. If possible remove door handles, light switches and electrical sockets if not then use a good quality painters tape as opposed to masking tape as you will get a cleaner finish using the correct product. 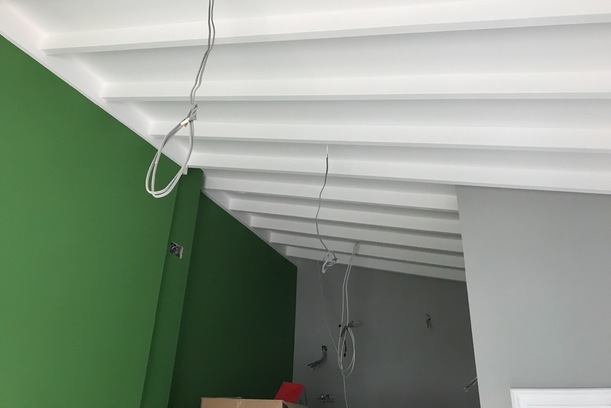 If using more than one colour and you have no confidence in your steady hand then use the tape on the edges where two colours meet and along skirting boards and other wooden fixings in order to get a flawless finish. This takes time as the tape has to be fitted straight and tight along edges but it pays off at the end so don't over look this. Remove the tape before the paint dries to avoid peeling the dry paint off the wall with it. 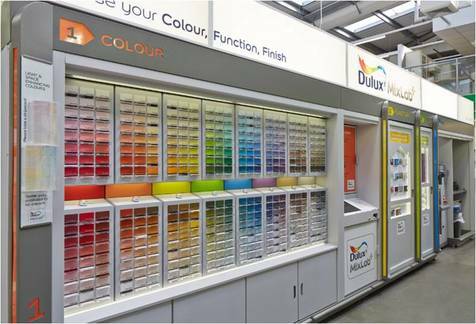 Whatever colours you have decided on be sure to buy enough as you don't want to run out whilst only two-thirds of the way through a room, especially if your colour has to be mixed as mixing machines differ slightly from day to day and store to store. It's always good to have extra paint left over anyway for any future touch-ups. Always undercoat surfaces with white as a base and if any surfaces are new and have never been painted make sure to use a primer as this provides a better surface for your top coats to bond to and will give you a more vibrant beautiful finish with your chosen colour. The last thing you want to do after this much hard work is to use the wrong paint so make sure you know what surfaces you are painting and what kind of finish you are going for and buy your paints accordingly. For wall and ceiling emulsion use a brush with synthetic bristles and for oil based wood paints use brushes with natural bristles but to ensure you get the finish you want, buy some mid to high range applicators, budget rollers and brushes will loose hairs and bristles on your wall while you are painting ruining all your hard work. Investing in some good quality brushes and rollers will save you money on paint as they will give better coverage and if taken care of and cleaned properly the brushes will last for years to come. 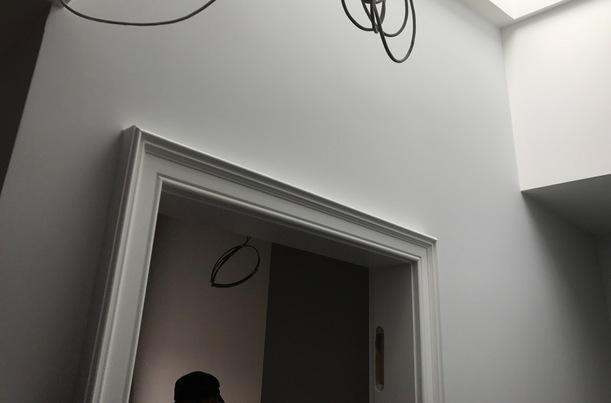 Depending on how good the lighting is in your property it may also be a good idea to buy a work light or two, LED lights will be safer over halogen as they do not get hot and will be less likely to burn something should it get knocked over or get too close. When applying your paint, it's very easy to get carried away and over brush the areas that require brushing. Brushing an area too much will cause the brush marks to become easily visible and in some cases will remove the paint which you first brushed on. 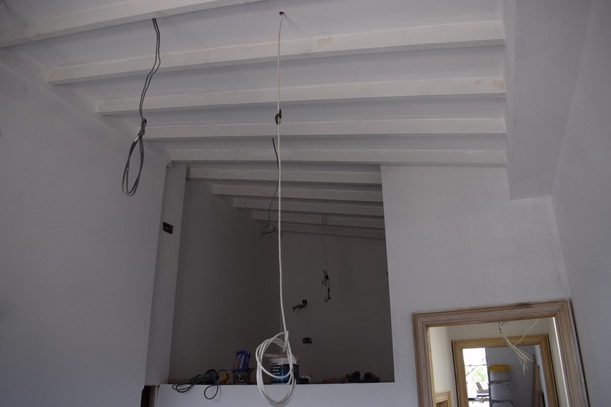 Having some kind of consistency will help when decorating your walls and ceiling and so tarting at the highest points is the best strategy as you will be able to catch drips as you work down and makes it easier to obtain the smooth finish you are after. That being said, when cutting in, only dip your brush in the paint to avoid excess paint on the brush which will drip and get wasted.